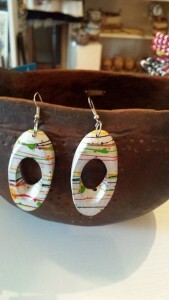 These silver plated earrings are handmade in Kenya by true Kenyan Artisans. 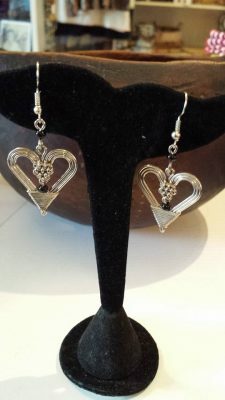 They are made from wire and woven into the shape of a heart. 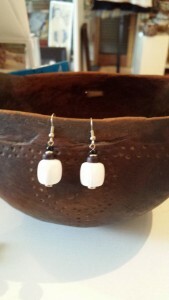 Each pair of earrings are purchased at Fair trade. 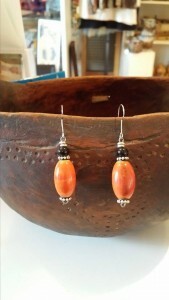 They measure 2″ long, which includes the drop, and 1″ wide. 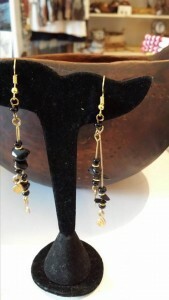 They are super lightweight and adorned with two black glass beads. 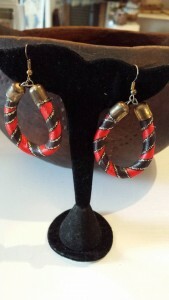 They would look beautiful with any outfit!